Jack is featured on Tom Robinson’s BBC Introducing Mixtape, after calling it “a work of howling genius”! Tom played the track again on his The Tom Robinson Show. 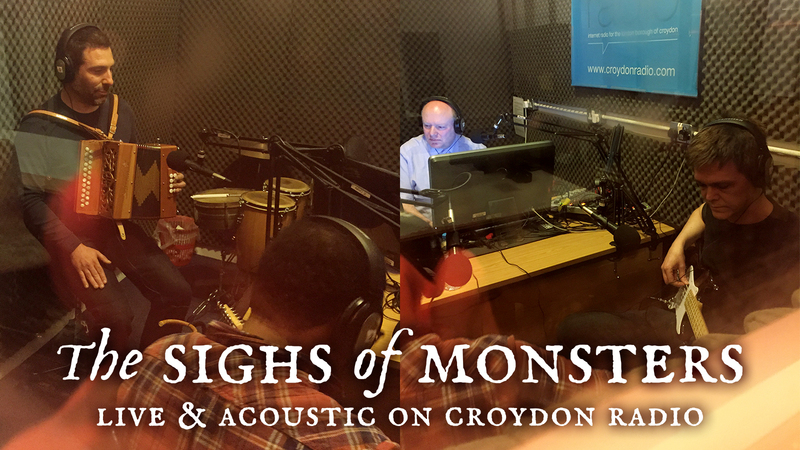 The Sighs of Monsters performed live and acoustically on Croydon Radio’s ‘Eclectic Avenue‘ show presented by Steve Lawlor. This is just the acoustic set, but you can listen to the whole show on Croydon Radio where the band chats to Steve about music and he plays some of our favourite artists, as well as a few tracks off our album, ‘Ground‘. Listen to the whole show here. You can listen to our acoustic set on our Facebook page. Do Not Oscillate is featured on Tom Robinson’s BBC Introducing Mixtape.